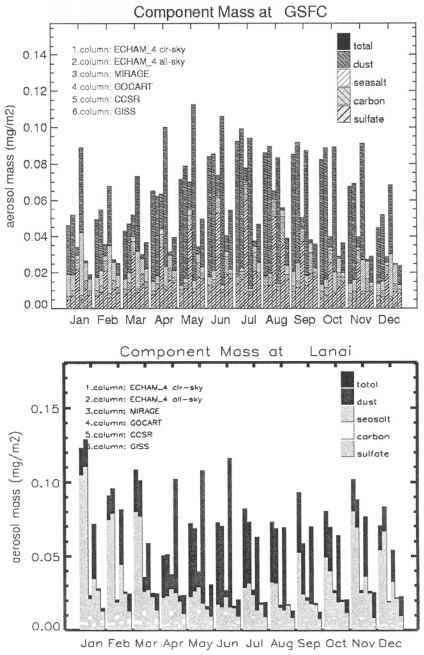 All models provided data on mass for sulfate, organic carbon, black carbon, sea-salt and dust. The mass does not include aerosol water, which adds to the aerosol size of sulfate, organic carbon and sea-salt as a function of ambient relative humidity. Mass data are also provided for the cloud-removed subset, ECHAM4 clr. Component aerosol mass of these models is compared in Figures 9 for the four AERONET sites of Figures 2. O.CARBON- m: Despite the common reference for carbon emissions (Table 6), there are large differences in organic carbon mass. All models reproduce the seasonality of tropical biomass burning emissions, but quantitatively the range of monthly averages covers up to one order of magnitude. CCSR suggests by far the largest carbon mass. MIRAGE displays the lowest mass values in the tropics. At higher latitudes, though, MIRAGE suggests one of the larger carbon masses and GOCART values are now among the lowest. B.CARBON- m: The seasonal behavior for black carbon almost mirrors that of organic carbon. Black carbon mass is smaller than organic carbon mass, but there are large model differences for the ratio between organic and black carbon. Near biomass burning, ratios of all models are close to 8:1, however, ratios range from 2:1 to 12:1 at higher latitudes. Larger ratios are common for GISS and smaller ratios are common for GOCART, with the consequence that at high latitudes, GISS black carbon mass is lowest among models. DUST- m: Dust modeling in GOCART (based on Ginoux, 2000) produces the largest dust mass. The neglect of larger dust sizes in ECHAM4 reduces mass to about half its value. This is still sufficient to exceed the dust mass of the other three models, near sources. There, MIRAGE dust mass is usually lowest among models. 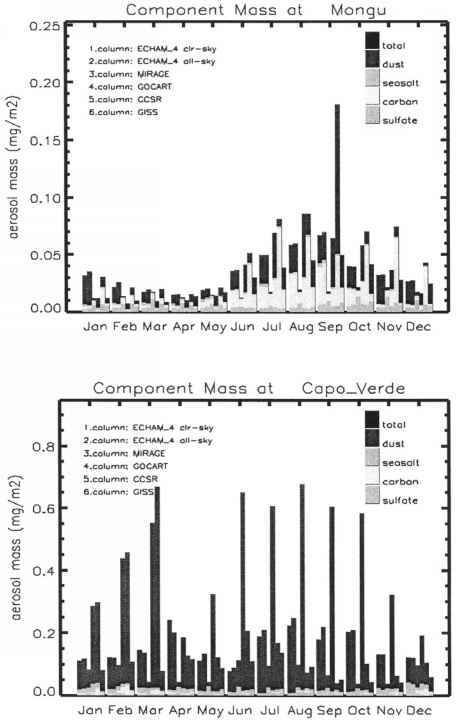 Away from dust sources, dust mass of GOCART and ECHAM4 stand out even more, dominating by up to one order of magnitude. Away from dust sources CSSR dust mass at times is very small. SULFATE- m: By far the largest sulfate mass is usually suggested by MIRAGE. At higher latitudes in the northern hemisphere MIRAGE sulfate mass is about 2 to 4 times larger than for other models. 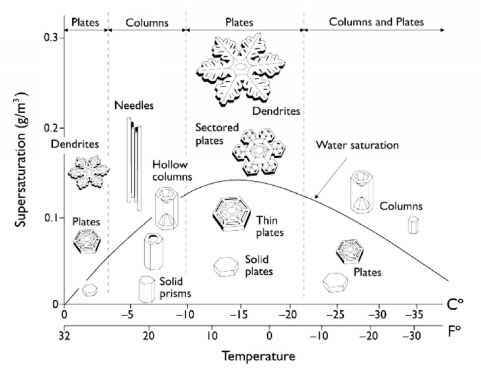 Seasonal sulfate mass trends among models are similar. SEASALT- m: Differences in sea-salt mass among models are large, as the range of monthly averages often exceeds one order of magnitude. Sea-salt mass in especially low in the GISS-model. The seasonal cycle between winter maximum and summer minimum for the northern hemispheric is most pronounced in GOCART and ECHAM4.